Matthew P. Mayo is a Western Writers of America Spur Award-Winner and a Western Fictioneers Peacemaker Award Finalist. 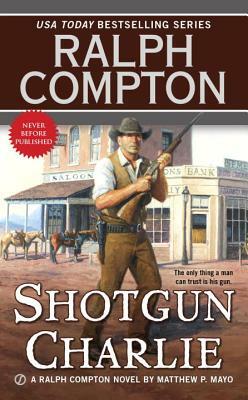 His short stories have appeared in numerous anthologies and his many novels include the Westerns Winters' War, Wrong Town, Hot Lead, Cold Heart, Dead Man's Ranch, Tucker's Reckoning, The Hunted, and Shotgun Charlie. He contributes to several popular series of Western and adventure novels.